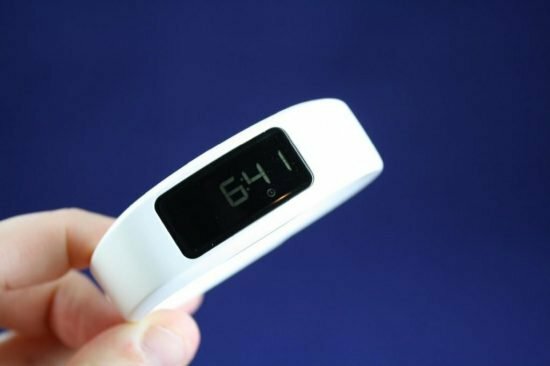 My husband and I use fitness trackers every day to count our steps and keep us motivated. Find out which ones make the cut. This past year Mr. Mommy High Five and I decided to make some life changes and switch up our daily routine. We realized that we were not active enough in our daily lives, and this was not good for our health or for our relationships with our kids. Not to mention we simply weren’t setting a good example for them. We decided to buy simple fitness trackers to help us get more active and constantly remind us to keep moving and keep motivated. Then began the task of deciding which one to choose. There are so many to choose from it was kind of a daunting task. Once we did our research and decided which one best fit our needs, we were well on our way. We have had them for a while now and all I can say is that they work. They do just what they’re supposed to do, which is get us up off our lazy butts and keep us moving. 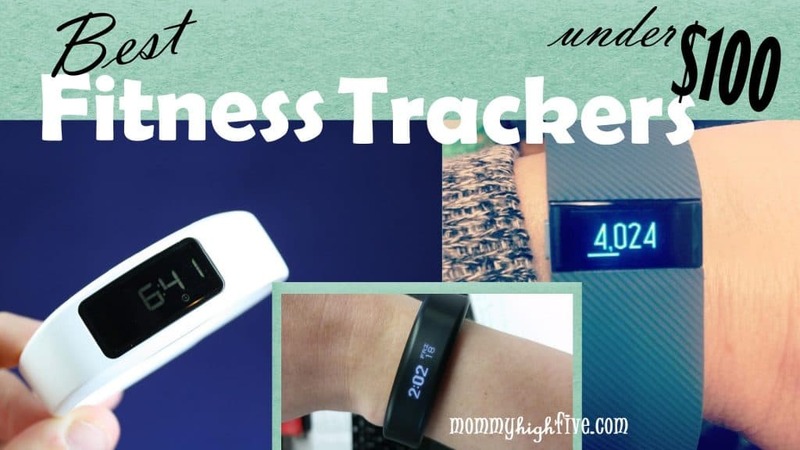 Here are my top four picks under $100 when it comes to finding the right fitness tracker. 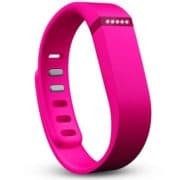 Also be sure to take a look at our post on the top fitness bands under $50. This is the fitness tracker we currently own and are wearing right now. We’ve had ours for over a year and have never had to change out the battery or recharge it. 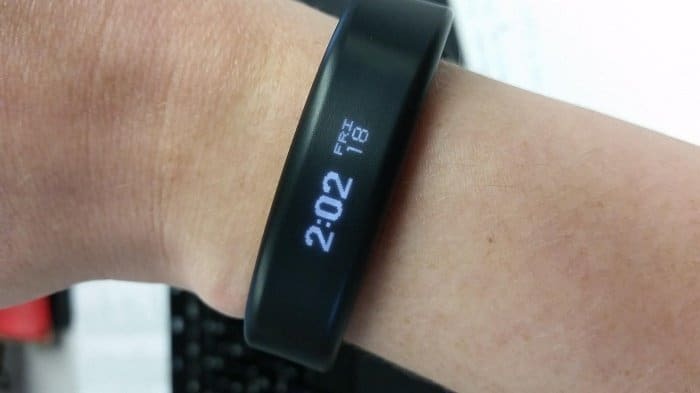 This is the only fitness tracker I know with this feature. We’ve linked our Garmins to our phones and whenever we like, we can sync the device and our phone. It lets us know our stats and our sleep habits. We can see when we are getting close to meeting a goal. We can even link up to each other and friends and compete on steps and goals with them to add a little friendly competition. 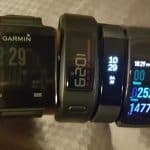 The Garmin shows how many steps you have taken, how close you are to your daily goal, how many miles you have gone, how many calories you have burned, as well as the time and the date. There is also a red bar across the top that moves as you move. You know you need to move more if your red bar is not really getting across your display screen. It is safe in the water so you can shower, do dishes, or go swimming up to 50 meters without taking it off. One con of the Vivofit is that it is a little bulky compared to other fitness trackers. That being said, my husband has worn his every minute of every day and was never willing to wear a watch previous to this band. Some people have had some trouble syncing with their phones, which can be super frustrating. I have an android and have never had trouble. This particular model does not have a heart rate monitor on it. 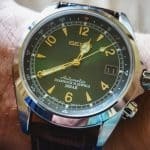 If you would like to spend over $100, this model does provide an option to upgrade. 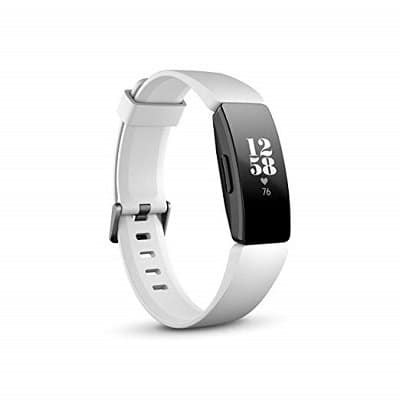 The Fitbit Inspire HR Heart Rate & Fitness Tracker is a great device. It is not as bulky as the Garmin and has some key features that are really nice. If it is sitting next to your phone, there is a caller ID feature that will ring in and display on your Fitbit. It also automatically syncs to your device on a regular basis, which is super nice. The app is very easy and fun to use. 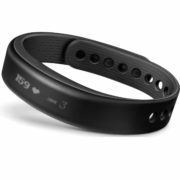 It tracks all the same things that the Vivofit tracks, and you can even put it on exercise mode and get a detailed workout summary. You can even set an alarm that will vibrate to wake you up in the morning. It also has a stopwatch feature. 24/7 heart rate monitor is a fantastic feature. One big downside is that the battery only lasts up to seven days, and then you have to recharge it. It takes 1-2 hours to recharge. Customers have been known to turn off the display during the day to try to make the battery last a little longer. This certain model also does not come with a heart rate monitor. It is water resistant up to 50 meters, so the shower and dishes would be fine as well as swimming. 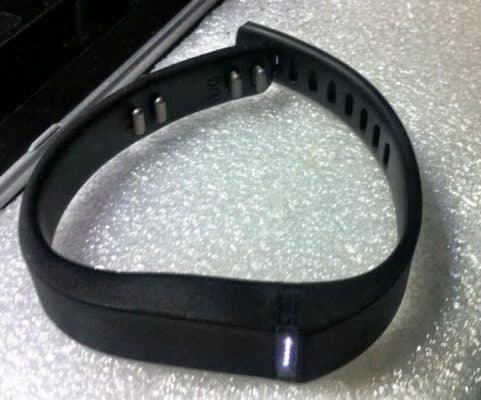 The band has a smooth rubber design that is comfortable to wear. When all is said and done, this would be a great way to get started on your fitness goals. This Flex is a little different from the Charge. If you are looking to spend less money but would still like the quality name brand of the Fitbit, this may be the perfect fit for you. It is smaller in size and does not have a display screen. Instead, it just has a little bar with flashing lights across the top. As you reach your fitness goals, lights will light up. You know you are getting closer to your goal according to how many lights you have lit up. To really see how you are doing on your steps or specific goals, you will need to be close to your phone or computer so you can log in or sync to your account and check in. The battery life is around five days, and you can switch out your band for fun new colors if you want. It was originally said to be water resistant, but customers have complained about its resistance to water. So I would take it off when showering, doing dishes, or swimming. It is comfortable to wear, monitors your sleep, and has an alarm. The app you sync it to on your phone has some fun features that are easy to use. This is a little different than the Vivofit. It has a touchscreen band that you just tap on. It also alerts you when you have texts, emails, meetings, or if you are just not walking enough by a light vibration. What I really like about the Vivosmart is that it will automatically sync to your devices throughout the day, either when you’ve met a goal or just when it’s been a while since it last synced. So anytime you get on your device to see your stats, it is already linked up. If you have been sitting too long, it will vibrate with a little reminder to get up and get moving. Within the app you can also link it up to My Fitness Pal to help keep track of your calorie counting and eating goals. Battery life lasts about seven days. It is comfortable to wear and it very lightweight. The display screen is a little dark so it can be hard to see at night. It is also water resistant. Typically at Mommy High Five we like to try and find our five favorites in each category to recommend. But in this case I’m only going to give a high five to four products. When shopping for something like this, I recommend sticking to the name brand. My vote goes to Garmin or Fitbit. And for under $100, this is what you get. 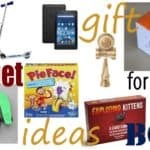 If you are wanting something with a heart rate monitor you will need to spend a little bit more. I feel that with any of these four products you will be happy. You will feel motivated to reach your goals, and you will be well on your way. Happy Walking! !